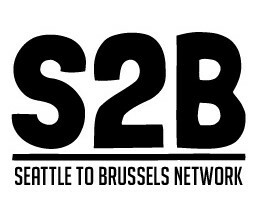 The Seattle to Brussels Network strongly condemns the outrageous attack by Austria, Finland, France, Germany and The Netherlands on the European domestic legal system as yet another example of sacrificing democracy and the rights of citizens to please corporate interests. The governments of Austria, France, Finland, Germany and the Netherlands propose to institutionalise the infamous “investor-state dispute settlement” (ISDS) – rejected by millions of European citizens in online petitions and in an official TTIP consultation by the European Commission throughout the EU. The proposal was tabled on 7 April by representatives of the 5 countries (Austria, France, Finland, Germany and the Netherlands, referred to here as the AFFGN) in the EU’s Trade Policy Committee, which deals with the EU’s external trade policy. In what seems to be a concerted effort the proposal was followed by the publication of a similar call by the EU business association Business Europe on 14 April. The leaked non-paper refers to an informal technical meeting between member states that already took place on 1 October 2015 and proposes to have another meeting soon to further discuss their non-paper. The AFFGN also offer to participate in drafting a legal text reflecting their ideas. The proposal was made in the context of infringement procedures undertaken by the European Commission (EC) to bring an end to bilateral investment treaties between older and newer EU member states. These so called intra-EU bilateral investment treaties (BITs) were signed between western European countries and Central and Eastern European countries after the collapse of the communist regimes, and were maintained after the latter joined the EU. The EC has maintained that these BITs are in contradiction with EU law, create discrimination between member states and economic actors and should be terminated. But because they failed to enforce this, investors in EU member states have in the meantime challenged the policies of other EU governments over a hundred times. Instead of terminating them however, the AFFGN now propose that the intra-EU BITs be replaced by an all intra-EU investment agreement that would greatly expand investor privileges throughout the EU (the existing intra-EU BITS between older and newer member states do not cover a great part of intra EU investments). This would lead to the further proliferation and indeed an explosion of investor-state arbitration that will deter governments from taking measures in the interest of sustainable development, and force them to use tax-payers money to pay compensation for perfectly legal and democratically decided measures. will make tax payers pay for corporate interests. It is unprecedented that the AFFGN proposes a plurilateral treaty between the Member States without involving EU institutions (including the EU Parliament). In addition, this proposal – which seems to have been drafted in concertation with Business Europe- is tabled by 5 countries in an EU committee dealing with external trade policy when the proposal in fact deals with EU internal matters of intra EU trade and investment and intra EU rights, democracy and judicial procedure. All of which begs the question, have trade interests taken over the EU completely? For more detail and comments on the AFFGN-proposal see the attached note: “The AFFGN non-paper”.